Eutelsat has sold its interest in the EUTELSAT 25B satellite for €135 million to co-owner of the bird, Qatar’s Es’hailSat which will continue to operate the satellite at 25.5 degrees East. The Washington DC-based suite of public affairs networks known for providing a video feed of congressional activity, C-SPAN, has inked a long-term contract for C-band satellite services on Intelsat’s Galaxy 14 satellite. 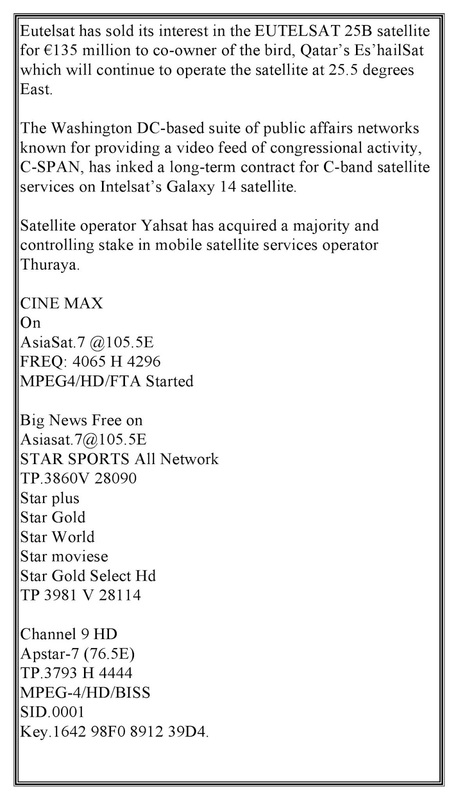 Satellite operator Yahsat has acquired a majority and controlling stake in mobile satellite services operator Thuraya.